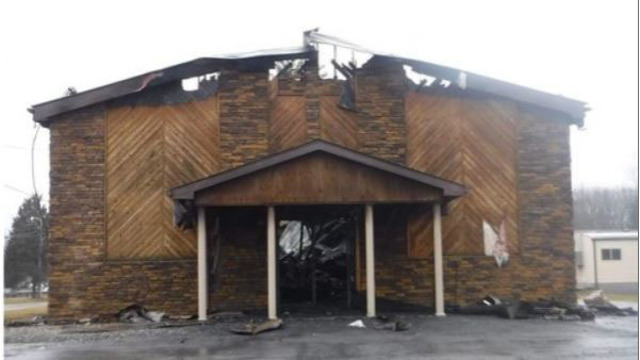 In the predawn hours of Sunday, March 3, 2019, a massive fire swept through the Freedom Ministries church in Grandview, WV. The fire was so overwhelming the Beaver Volunteer Fire Department had to call in the Coal City Fire Department for assistance. As they entered the church home to approximately 250 parishioners, complete destruction was anticipated. However, to their shock, all the bibles in the church laid in the ashes untouched. Additionally, three crosses also survived the fire. The bibles, numbering nearly two dozen, had been scattered throughout the sanctuary of the non-denominational church. The story quickly spread across even mainstream media as people took note of the apparent miracle that happened approximately 70 miles from Charleston, WV in the rural mountains. The Washington Post went as far as to speculate that perhaps the bibles had been treated with a fire retardant which prevented them from burning. One of their reporters reached out to the largest Bible publisher, Zondervan, for further investigation regarding the question of whether the bibles were treated or not. 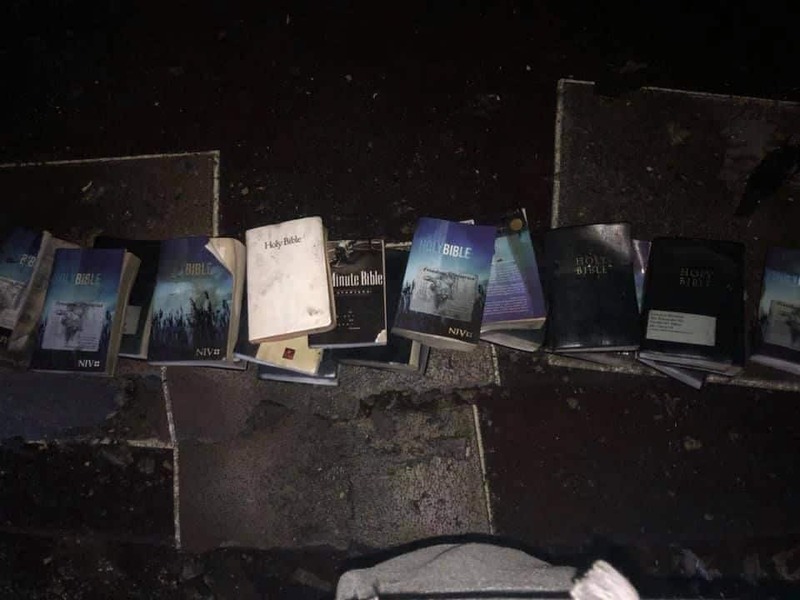 As the story started to make its rounds on social media, it became clear the circumstance of a Bible not being destroyed in a fire is perhaps not that unusual, as many individuals presented their own anecdotal stories with the same refrain. Included in these stories are examples of Bibles surviving destructive house fires of either close relatives or the individuals directly. God demonstrated His ability to make the supernatural or unexplainable happen throughout the Bible starting at creation and again and again throughout both the Old and New Testaments. From the burning bush where Moses first encountered God (Exodus 3:2) to the staff that Moses carried to visit Pharaoh (Exodus 4:2-5) through the plagues (Exodus 7-12), including the Passover, which culminated in the miraculous parting of the Red Sea (Exodus 14) which allowed the Israelites to finally escape their captivity in Egypt. But God did not stop there. Moving on through the Old Testament are stories like David and Goliath (1 Samuel 17) and Samson (Judges 13-16) where supernatural strength and intervention provided by God was present in protecting Israel. In the New Testament, Jesus performed signs and miracles all throughout his ministry including healing the sick: “Jesus went throughout Galilee … healing every disease and sickness among the people. News about him spread all over Syria, and people brought to him all who were ill with various diseases, those suffering severe pain, the demon-possessed, those having seizures and the paralyzed and he healed them” (Matthew 4:23-24). God is still in the signs and miracles business, while this fire aimed to destroy God had a reason for showing that He still is in control of the elements. If we pay attention, there are hundreds, if not thousands of stories like these. While our faith is based on the unseen, these little moments can provide a little boost for each of us. In the aftermath of the fire, please keep the Freedom Ministries church in your prayers as they work to rebuild their church home. And keep your eyes open, you never know where the next sign or miracle will occur!